When Warryn Campbell gave us the news a few months back that he’d be working with Jon B. to produce his upcoming album, we knew good things were in store. After all, Warryn Campbell has an amazing track record since the early 90’s and has been the architect behind some of the best adult contemporary r&b songs in recent years. 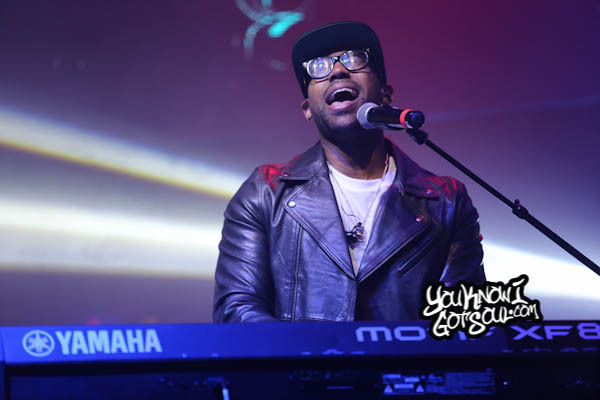 He also similiary helped Musiq Soulchild create his “Life on Earth” album which is one of the best in r&b this year. Warryn made a great choice, as Jon B. has consistently put out quality r&b music for two decades now and he also writes, produces, and puts on a great live show. We’ll see the fruits of their collaboration when Jon B. releases “Mr. Goodnight” later this year, his first album in over four years. 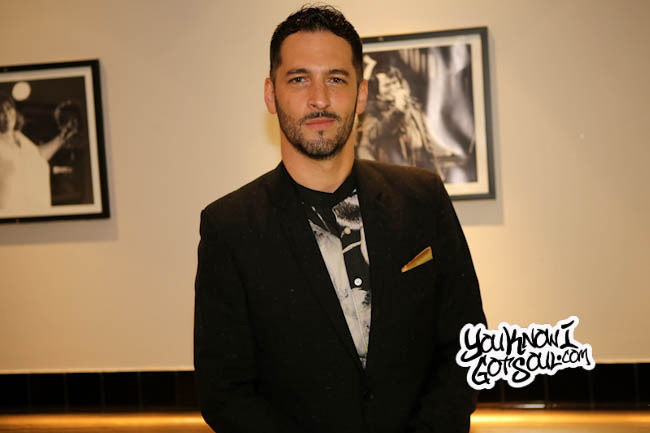 We sat down with Jon B. once again prior to his recent performance at BB King’s in NYC and discussed what to expect on the new album, his chemistry with Warryn Campbell, the spectacle of creating r&b music in the 90’s, and much more. 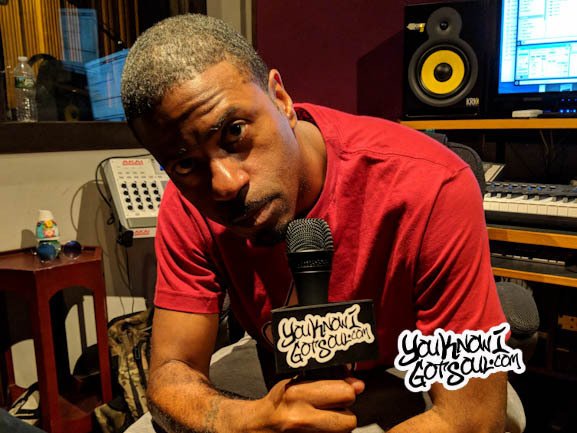 YouKnowIGotSoul: The fans have been waiting on the new music from you. Tell us about what the new music you’ve got coming. Jon B.: Me and Warryn Campbell ended up getting together for this album and we produced the whole album together and wrote the songs together. He looked at some of the songs I had and produced on my own, he loved some of those, but then we made a combination of some songs that he produced and I wrote to. We’ve got an amazing cast of writers on this project, Adonis is on this project, and my man J Bynum, my man Eric Dawkins, inedible gospel artist but an insane writer as well. Just bringing all of these chefs into the kitchen and saying “Let’s make the most gourmet dinner we can think of.” That’s the best analogy I can give this album. It’s just some grown folk, good quality listening music. Real talk. YouKnowIGotSoul: When we caught up with Warryn Campbell a few months ago, he dropped the bomb on us that you were working together. How did that whole situation come together? Jon B.: Actually I really have to take my hat off to GlobeStar media, my team and the people who are connecting all of the dots. Big shout out to My Block Records, the label I’m under right now, Warryn’s label. Musiq Soulchild just put out a record with Warryn. That caliber of a singer and artist with a history that he has, I really looked at that as a sign saying “Go this way too!” I relate to Musiq Soulchild, I think he’s a very musical artist. He’s always made quality music and I checked out the album and I loved the album but I also peeped Dave Hollister’s last single too produced by Warryn Campbell. I just thought this is r&b music, I’m doing real r&b, not pop r&b, not watered down popish r&b sounding stuff. It’s taking it back to the roots and the foundation of r&b. My Luther Vandross, my Michael Jackson, we’re even taking it back to Alexander O’Neal and James Ingram and “Secret Garden”! Wow! I almost don’t want to tell you because I want you to discover it for yourself. I feel like I get to play Mike on this album and he gets to play Quincy Jones. We’re just filling it in; right where I end is where he begins. We’ve got each other’s back like that on this record. The album title is “Mr. Goodnight”. The song itself is called “Mr. Goodnight” which is the title track and it’s one of the best songs I’ve recorded in a really long time. I have nothing else that I’ve done that’s like it. It’s very night club, jazz club, supper club vibe. It’s very live band sounding with live instruments. Warryn is on the drums, live drum set, not drum machine! *Laughs* We’re bringing back the organic vibes. YouKnowIGotSoul: What’s pretty cool is that on your Instagram you show fans behind the scenes looks at you in your home studio. You seem to be always creating. YouKnowIGotSoul: In addition to recording this new music, you’re constantly on the road doing shows and getting a lot of support. Since your last album was a few years ago, how much of a priority is creating new music at this point, since you’ve accomplished so much and have a beautiful family around you? Jon B.: You know with my family being the main priority for me, the center of everything I do. The love that I have for my family and they have for me, that’s the glue that’s holding everything together. I think an album coming out is just a reflection of where I’m at and the harmonious vibes happening in my life. It takes a lot of coordination to put a record out and have it come out and be recognized. I’m trying to do it right his time. With a real team. Before it was just me and wifey rocking, doing it independent. The last two records were independent “Comfortable Swagg” and “B-Sides”. I really did that for my core audience who’ve been down with me for 20 years. I know you needed new music and I was sitting around with all of this new music, and I knew I had to put some it out. My wife was actually the one to be the one who really gave me the courage to do that. We facilitated those together but we can only take it so far. I feel like this album will give me the proper shot to be on the radio again as well as just being in your households again. YouKnowIGotSoul: Are you releasing this one though E-One/My Block? Jon B.: Yes, this is going to be E-One/My Block with Sony Red Distribution. Warryn Campbell, it’s an amazing thing to know that we have such a comrade going. He feels just as strong about my artistry and my writing and production as I do about his. It’s just we’re throwing it back, it’s a really amazing time. YouKnowIGotSoul: What are the expected release dates for the single and the album? Jon B.: You can expect the single real soon. Like in a month. That’s what they’re telling me so I’m hoping that’s the way it’s going to go down. We intend on filming some more visuals for this album. I think visuals in this day and age are extremely important. Plus yall gotta know I’m trying to keep it together for yall! I’m trying to keep it clean for yall! Otherwise a brother could just get big and not care and grow my beard all out! *Laughs* I take pride in just the opportunity I’ve been given and always want to give the best version of myself. Sometimes you’ve got to go through some things and have down times in your life in order to get up again and approach things with a different passion. 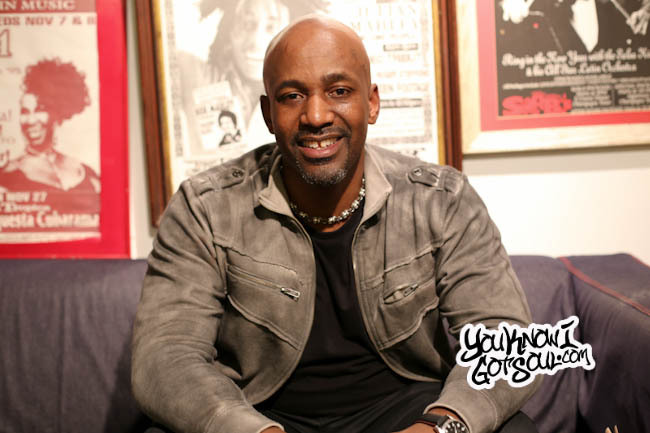 YouKnowIGotSoul: You’ve been at this for over two decades now and had success for so long. Tell us about what it was like recording back in the 90’s, the golden era of r&b, with the big budgets and everything. Jon B.: Recording for Sony/Epic was an absolute pleasure. It was almost too good to be true thinking back. I was stepping off of a Sony Lear jet and going to the Peninsula hotel or the swanky hotels with Sweets and bottles of champagne on ice waiting for me. All day long doing interviews and really nice dining rooms and going to fancy dinners with record execs. Then doing shows with 8,000 people, sold out shows at the Beacon and the Greek Theatre in LA. To have that experience of being able to talk to Michael Jackson on the phone and have him tell me “I love what you did with ‘You Are Not Alone’, that’s an incredible mix”. I was just like “What!!!”. And then Luther Vandross coming up to me at the Soul Train Awards and saying “I want to work with you!” I will never forget those things. Of course 2Pac and Babyface. Getting Nas to come to the house, not even the big studio, and just playing pool with your boy before we go downstairs and just build. All of these things are special, but I will say if you don’t have a love and a passion for the music, all of that stuff is extra. All of that has been a little bit less now. I’m not a diva in a sense of needing Sweets and first class flights and all that. You won’t see me too much stepping out of limos or see me instagramming from the helicopter or whatever! It’s just not my style really. I think having kids and being married and really being on the road and doing everything asked of me. Signing every autograph and taking every picture, it’s a really humbling experience and really allows you to see. I really experienced it backwards, the peak first! And then the steady but oh so classy decline. We’re trying to grow old with grace. I don’t want to let you down, I just want to keep being the best Jon B. I can be for you guys. It’s not a lot of looking back right now. If I do look back, I’m looking back to thank God for what I’ve experienced and also to refocus to what I’m looking forward to. I’m looking forward to the best years yet. 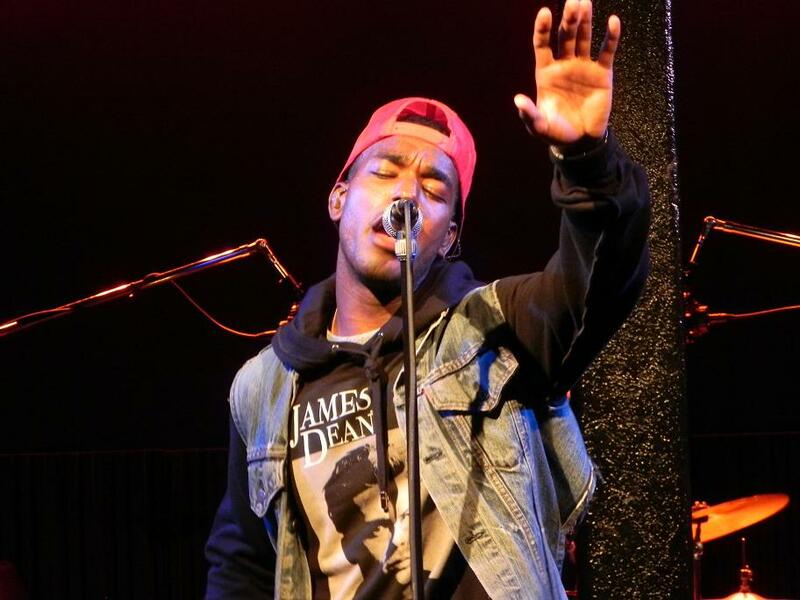 YouKnowIGotSoul: We saw this interesting collaboration you did a few years ago with Eric Bellinger, one of the new generation of r&b artists. 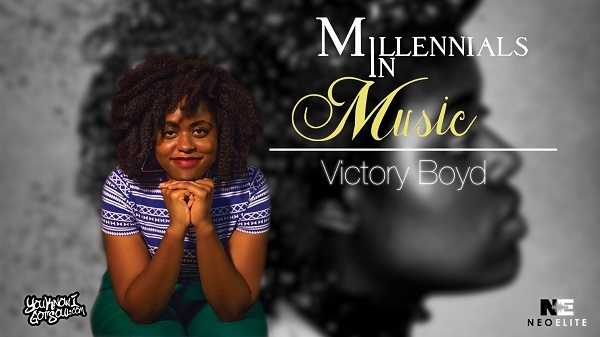 Are there any other younger r&b artists who inspire you? Jon B.: You know what, recently I was really honored that Bryson Tiller shouted me out through one of his people. He said Bryson wanted to work with me and I thought that was dope. Some kid recently remade my record “They Don’t Know”. Over the last three or four years, it’s been some pretty heavy sampling going on with my music. Drake sampled my song “Calling on You” which he turned into a record “Cameras” and was an honor for me. The thing that’s so funny is that I’m really tickled by the fact that I’m getting instagrams with these amazing icons singing my song “They Don’t Know”. The other day Tamar Braxton was in the car filming herself singing the song. Then the other day Snoop Dogg and his wife were slow dancing to that song and he actually started singing it! Look at that, the OG Snoop Dogg singing that with his wife after all of those years being together. Do you know what that means to me? That’s like watching it in real time what I’m talking in the song, it’s happening right there in front of you. It’s an example that we just don’t make this stuff up to sound cool or make you feel good. This is something we’re going through it and we’re documenting it and writing about it. I let yall tell it, if you relate to it, then it’s real. It goes from my mind to your heart and we’re relating! That’s the most special thing about music. Jon B.: I’d just like to thank you Thomas for being so down with me for some many years and your commitment to the music. Beyond me, the culture of this r&b music, the soul music. You get it man. We’re brothers from another mother, but we’re down, we could be brothers in real life! *Laughs* I really respect the fact that you’re doing what you do. I will always support you and you’ve always supported me. Real talk. I love Jon B. So glad he has new music coming soon. His music is a perfect compliment to my marriage. My hubby and I enjoy him A LOT! Keep em’ coming, and we will be listening. I always admired Jon B. because of his authenticity in the music industry. I will always be a true fan and listener of his music. Congratulations Jon on your continued success.